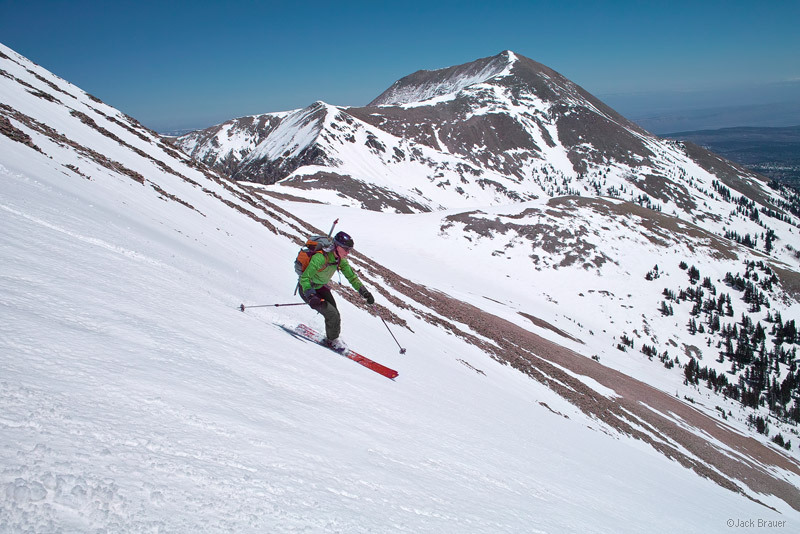 This weekend I met up with Ann Driggers and Seth Anderson, some new ski buddies I met through SummitPost.org, to ski some lines in the La Sal Mountains in Utah. 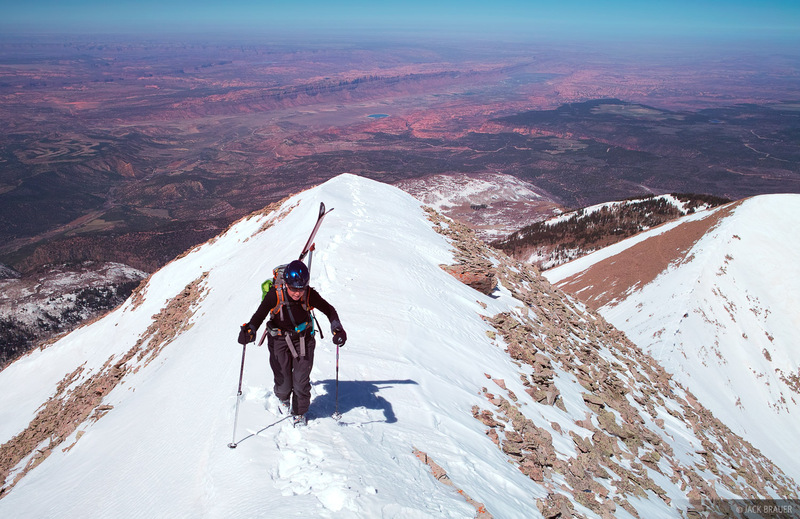 The La Sals rise 8,700 vertical feet above the city of Moab and all the surrounding canyonlands. I was excited not only to check out a new mountain range, but to snowboard down some of these lofty desert peaks that I’ve gazed up at so many times from the canyonlands far below. 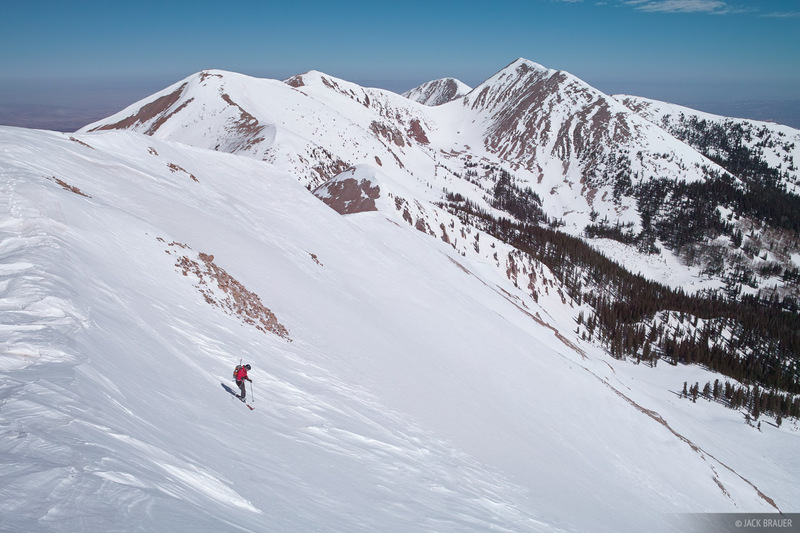 The La Sals were also a good choice for this time of year because the snow there has already settled into a solid springtime snowpack, unlike the snowpack here in the San Juans, which is still transitioning from winter. Skiing the "Tuklear Reaction" on Mount Tukuhnikivatz - April. Posted in Skiing & Snowboarding.